Goju Ryu started in 1978 in Namibia with Henry de Vries as the chief instructor and approximately five to 10 students, Carl van der Merwe being one of them. 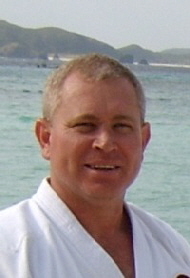 In 1999, Carl became the chief sensei instructor at the Okinawa association with about 200 students at that moment. 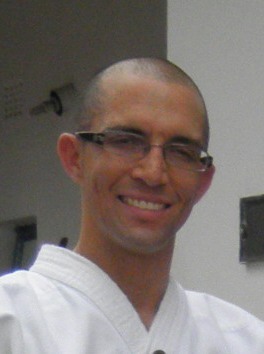 Carl van der Merwe is a qualified chartered accountant by day and a karate Sensei by night. The Walvis Bay club was initially started by Sensei Carl van der Merwe in the garage at his home in Windhoek in 1991. 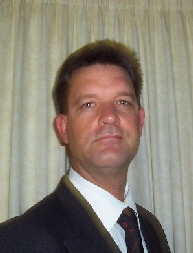 At the time he had only two students – Nico and Riaan Maritz. They trained together before all moving to the coast. As more members joined the club it later moved to the Walvis Bay Private High School PE hall for almost 20 years and now has its own premises in Meersig. Today the club is run by Sensei Nico Maritz and his wife Bärbel.